Japan's Sharp will launch in May a smartphone that's built into a humanoid robot. Or is it a humanoid robot with a built-in smartphone? 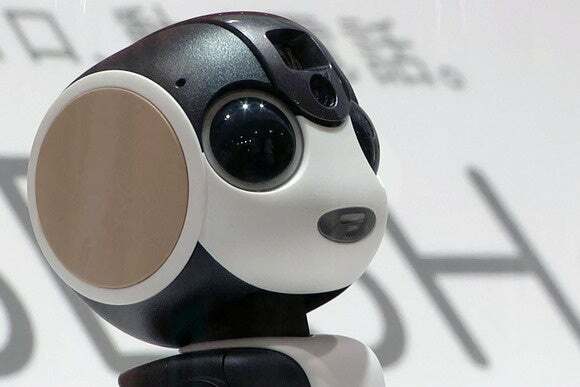 The Robohon is said to be the world's first mobile robotic phone -- and judging from the price and slightly unwieldy form factor could also be the last. It's 19.5 centimeters (7.7 inches) tall and weighs 390 grams (13.8 ounces), making it several times the size and weight of a conventional smartphone, and it will cost 198,000 yen, which is just over US$1,800 and more than double the price of a high-end iPhone. 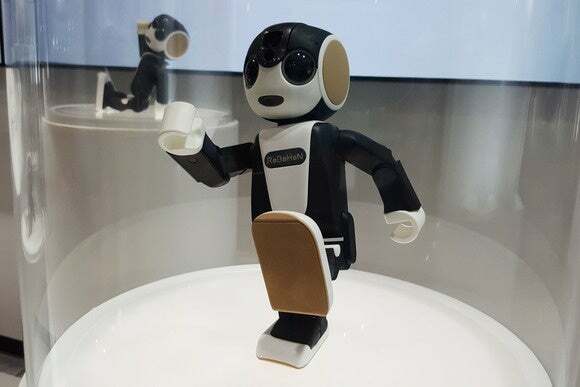 Sharp's RoboHon on show at Ceatec in Japan on Oct. 6, 2015. The conversation functions works through a cloud service and that costs an extra 980 yen (US$9) per month. Users that don't pay for that won't get to chat with the robot. 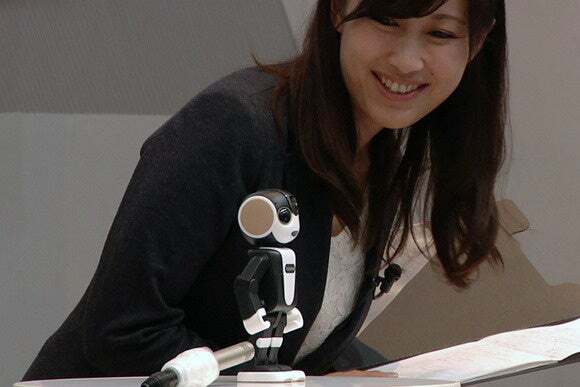 A person interacts with Sharp's RoboHon during a news conference in Japan on Oct. 6, 2015. A phone call is simulated on Sharp's RoboHon at Ceatec in Japan on Oct. 6, 2015.